So, here’s the next “this skirt is TOO small (but I’ll make it just right)” project. Couldn’t leave this funky little number hanging in Goodwill. It’s a woven skirt, with a heavy knitted panel at the waist. I love the chunky front zipper, with the placket over the top. 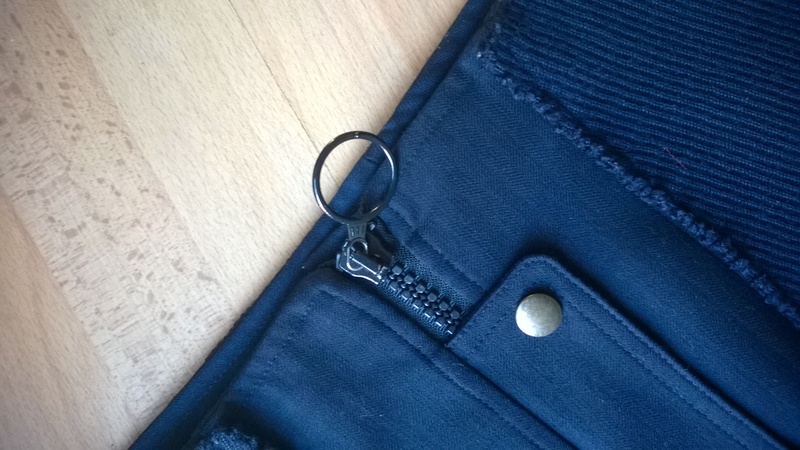 The hemline has a “parka” style detail with cord threaded through, tying at the front. 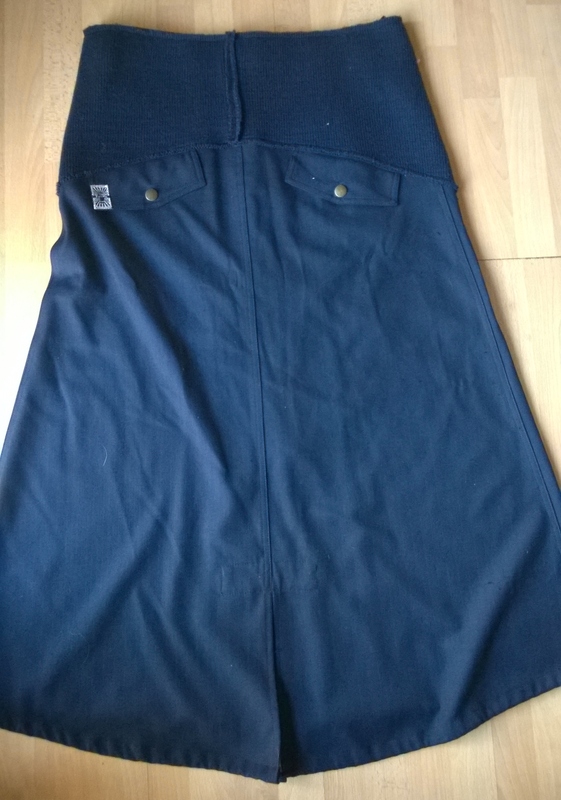 Lucky for me, the skirt was pretty long, meaning I could get away with cutting some off the top, and it not being an indecent length – the hip circumference of the slender woman who donated it, would probably match my not so slender waist. First I unpicked the knit panel, which was just stitched over the fabric. I’ll save that – maybe I could use it on the bottom of a sweater or something?? 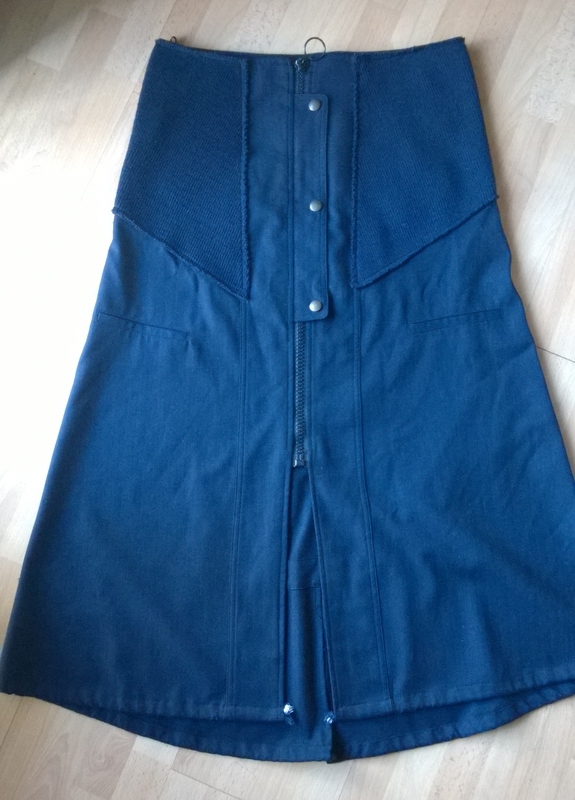 Then, I took the zip and the placket out, chopped a few inches off the top of the skirt, and put the zip and placket back on, matching them to the new waistline. I didn’t do a waistband (partly because I thought it looked cleaner without, and partly out of laziness!). So, I rifled through my binding/ribbons drawer swearing one day I would roll the ribbons back on their cardboard centres, and grabbed some black bias tape. 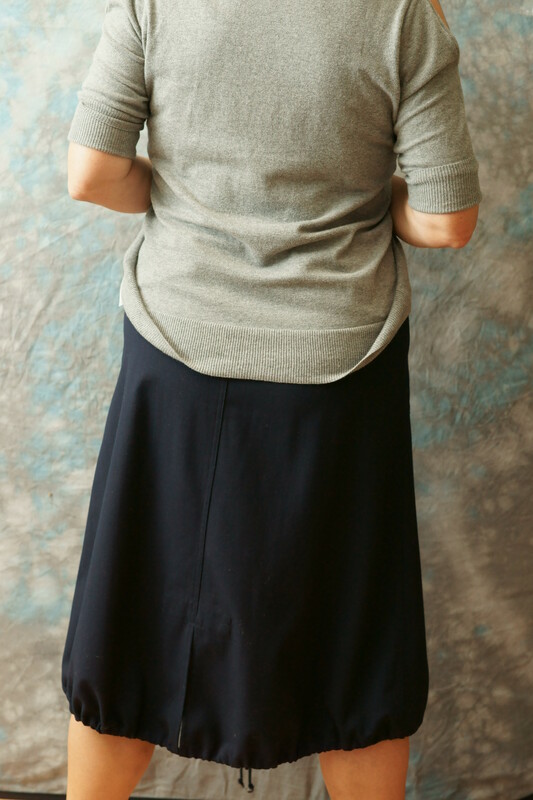 Wore it today for the first time, pulled the hem cord in a bit to create some gathering at hem – pretty happy with it! Posted in Uncategorized and tagged knit panel, parka, skirt recycle. Bookmark the permalink.